Pak Mail Oxford will receive, inventory and fulfill important product shipments or orders on a regular or one - time basis. We will store your product and you can activate orders and shipments by simply emailing or faxing instructions. 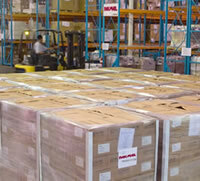 Our professional staff will make sure orders are correct and shipped on a timely basis.